Disappeared: Full Episode List - Disappeared of kidnapping, robbery, and murder in the O’Hair case, and was sentenced to 80 years in prison. Gary Karr was found guilty of conspiracy to commit extortion, traveling interstate to commit violent acts, money laundering and interstate transportation of stolen property charges related to the O’Hair case. The disappearance of Rosemary Anne Christensen from Tampa Bay, Florida on August 26, 1999. Rosemary’s remains were found in 2008. In 2011 Robert Glenn Temple, Rosemary’s husband, was found guilty of first degree murder. 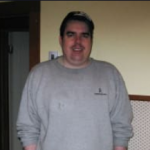 The disappearance of John Michael Spira from Chicago, Illinois on February 23, 2007. The disappearance of Bison Dele ne Brian Carson Williams, Bertrand Saldo and Serena Karlan near Tahiti on July 7, 2002. The disappearance of Royal ‘Scoop’ Daniel from Breckenridge Colorado on April 27, 2007. In December of 2011 Royal ‘Scoop’ Daniel was arrested in California. He pleaded guilty to two counts of theft and was sentenced to twelve years in prison. The disappearance of Brittanee Drexel from Myrtle Beach, South Carolina on April 25, 2009. 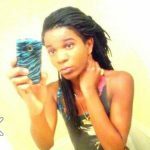 In 2016 the FBI announced that Brittanee had been murdered, though her remains have not been found. In March of 2017 they were searching for her remains in Georgetown County, South Carolina. 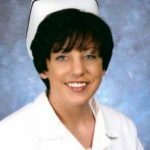 The disappearance of Tara Grinstead from Ocilla, Georgia on October 22, 2005. In April of 2017 a grand jury indicted Ryan Alexander Duke in Tara’s murder. Documents state that he killed Tara inside her home. Duke’s former classmate, Bo Dukes, has been charged with evidence tampering, concealing a death and hindering the apprehension of a criminal for helping to hide Tara’s body. Her remains have not been found. On March 26, 2019 Bo Dukes was found guilty on all four counts in connection with Tara Grinstead’s death. He was sentenced to 25 years in prison. The trial for Ryan Duke, the man charged with killing Grinstead, was scheduled to start on April 1, 2019. On March 28, 2019 the Georgia Supreme Court granted a delay request by Duke’s lawyers, who contend they were unconstitutionally denied funds for experts they need to testify on Duke’s behalf. The court is scheduled to hear pretrial arguments on May 7, 2019. The disappearance of Marilyn Renee “Niqui” McCown from Richmond, Indiana on July 22, 2001. 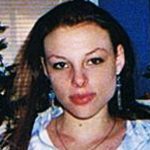 The disappearance of Tanya Rider near Seattle, Washington on September 19, 2007. 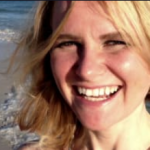 Tanya was found alive after spending 8 days trapped inside her wrecked vehicle. 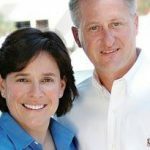 The disappearance of Elizabeth and John Calvert from Hilton Head Island, South Carolina on March 3, 2008. 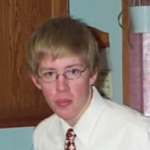 The disappearance of Michael “Brandyn” Fuksa from Olathe, Kansas on July 16, 2009. 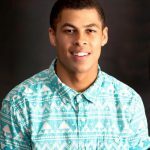 Brandyn’s remains were found in Casper, Wyoming in May 2015. The Natrona County Coroner says he died from a self inflicted gunshot wound to the head. 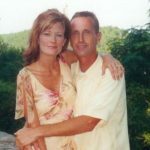 The disappearance of Kristi Cornwell from Union City, Georgia on August 11, 2009. Richard Cornwell, Kristi’s bother, found her charred remains using information that he received from the police. James Scott Carringer, the main suspect in the case, killed himself on April 8, 2010 during a standoff with Atlanta police. 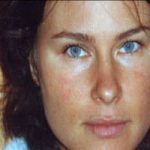 The disappearance of April Beth Pitzer from Newberry Springs, California on June 28, 2004. April Pitzer was declared legally dead in 2012. 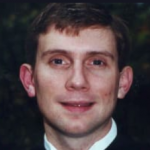 The disappearance of John Glasgow from Little Rock, Arkansas on January 28, 2008. 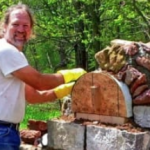 In March, 2015 John Glasgow’s remains were found at the bottom of a cliff on Petit Jean, about a mile from where his parked car was found in 2008. The manner of death is undetermined, and the case remains open. The disappearance of Sherilyn, Bobby, Madyson Jamison near Red Oak, Oklahoma on October 8, 2009. The remains of Sherilyn, Bobby and Madyson were found in November of 2016. No cause of death was determined, and the case remains open. 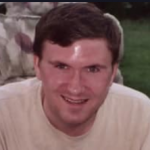 The disappearance of Timothy “Tim” Carney from Butler, New Jersey on September 28, 2004. 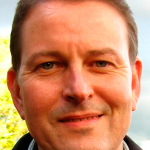 Timothy Carney was found alive in September of 2012, 7 years after being reported missing. 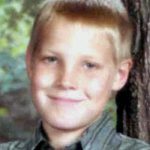 The disappearance of Jeramy Carl Burt from Boise, Idaho on February 11, 2007. 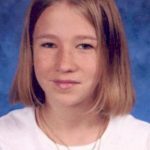 The disappearance of Kara Elise Kopetsky from Belton, Missouri on May 4, 2007. The FBI has confirmed that human remains found on April 4, 2017 in rural Cass County are those of Kara Kopetsky. 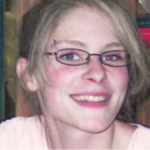 Kara was last seen on September 28, 2006, giving her ex boyfriend Kylr Yust, a ride home. 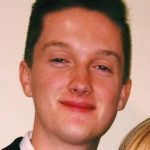 On October 5, 2017 Kylr Yust was charged with killing Kara Kopetsky and Jessica Runions. No trial date has been set. On Monday June 18, 2018 Kyle Yust was arraigned in Cass County Circuit Court for the murders of Kara Kopetsky and Jessica Runions. The trial has been set for fall of 2019. Name: Summer, Joseph, Gianni & Joseph McStay Jr. The disappearance of Summer, Joseph, Gianni and Joseph McStay Jr. from Fallbrook, California on February 4, 2010. 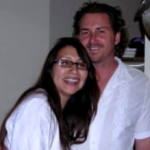 On November 13, 2013 the McStay family was found murdered in the desert near Victorville, California. Charles Merritt, Joseph McStay’s business partner, was arrested in November of 2014 and charged with their murders. On November 13 2017 the trial was waived until February 13, 2018. Jury selection began on October 29, 2018. The disappearance of Patricia “Patti” Adkins from Marysville, Ohio on June 29, 2001. 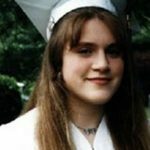 The disappearance of Molly Bish from Warren, Massachusetts on June 27, 2000. 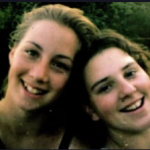 On June 9, 2003 Molly’s body was found five miles from her family home. Her murder remains unsolved. 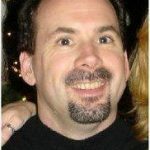 The disappearance of Brian Barton from Federal Way, Washington on March 10, 2005. Brian Barton’s remains were identified on August 1, 2017. His remains were found by volunteers doing cleanup in Federal Way. 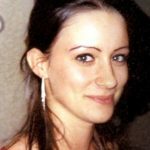 The disappearance of Roxanne Paltauf from Austin, Texas on July 7, 2006. 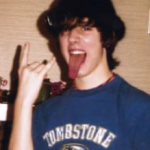 The disappearance of Jeremy Alex from Northport, Maine on April 24, 2004. 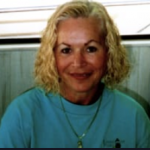 The disappearance of Toni Lee Sharpless from West Brandywine Township, Pennsylvania on August 23, 2009. 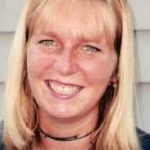 The disappearance of Leah Roberts near Bellingham, Washington on March 9, 2000. The disappearance of Ray Gricar from State College, Pennsylvania on April 15, 2005. 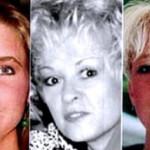 The disappearance of Sherrill Levitt, Suzanne Streeter and Stacy McCall from Springfield, Missouri on June 7, 1992. The disappearance of Samantha Bonnell near Montclair, California on September 24, 2005. Samantha was struck and killed as she ran across the Freeway 10 on September 24, 2005. She was listed as a Jane Doe for 19 months before being identified. 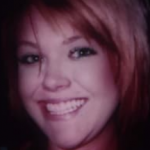 The disappearance of Brandy Hall from Malabar, Florida on August 17, 2006. 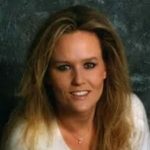 The disappearance of Patty Inez Brightwell Vaughan from La Vernia, Texas on December 25, 1996. 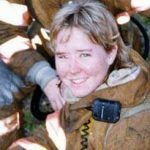 The disappearance of Rachel Cooke from Georgetown, Texas on January 10, 2002. 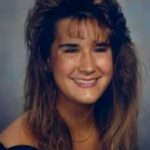 In April of 2018 police recovered a 1998 Pontiac Trans Am tied to three of the four persons of interest in Rachel Cooke’s disappearance. Preliminary tests on the car tested positive for the “possible presence of blood” on the passenger floorboard and passenger door model, according to a statement by the Williamson County Sheriff’s Office in September, 2018. Additional testing is being conducted, but the full details of the results will not be released in order to protect the integrity of the investigation, the sheriff’s office said in a statement. 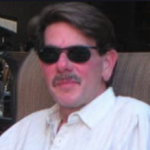 The disappearance of Steven Koecher from Henderson, Nevada on December 13, 2009. The disappearance of Morgan Harrington near Charlottesville, Virgina on October 17, 2009. Jesse Matthew Jr. was charged with Morgan’s murder on September 15, 2015. On March 2, 2016, he pleaded guilty to first degree murder and was sentenced to four consecutive life sentences without the chance of parole. 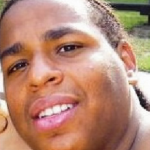 The disappearance of Charlie Allen Jr. aka Neo Babson Maximus from Dartmouth, Massachusetts on October 12, 2007. 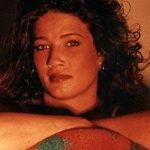 The disappearance of Patricia Viola from Bogota, New Jersey on February 13, 2001. Remains were found on Rockaway Beach the year after Pat disappeared; they were officially identified as Patricia’s in September of 2012. 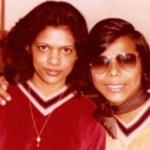 Patricia’s case helped lead to the passing of “Patricia’s Law” in New Jersey. It states that law enforcement shall accept reports of a missing person without delay, and that DNA samples should be secured from the family after 30 days and entered into national databases. 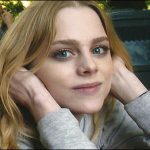 The disappearance of Alicia Amanda “Mandy” Stokes from Oakland, California on November 25, 2007. 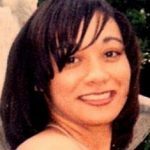 The disappearance of Leah Peebles from Albuquerque, New Mexico on May 22, 2006. 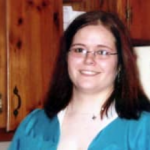 The disappearance of Amber Gerweck from Blackman Township, Michigan on April 9, 2011. Gerweck’s car was found on April 10, 2011 in Tunnel Hill, Georgia; 600 miles away from her home in Michigan. After 3 weeks of being missing she was found alive in Joliet, Illinois. She had no memory of who she was, but was identified after photos of her were aired on television. Doctors say she had dissociative fatigue, a rare condition accompanied by amnesia and wandering. 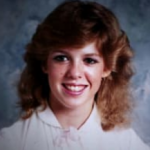 The disappearance of Colleen Orsborn from Daytona Beach, Florida on March 15, 1984. Remains were found near Orange County Lake a few days after Colleen went missing. DNA identified the remains as Colleen’s in 2011. 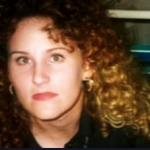 Authorities believe Colleen was a victim of serial killer Christopher Wilder, a man who targeted young women in Florida in the early to mid 1980s. He was killed in a shootout with police on April 13, 1984. 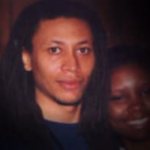 The disappearance of Jerry Michael Williams from Tallahassee, Florida on December 16, 2000. 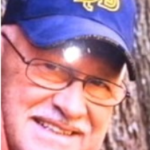 The remains of Jerry Michael Williams were found in northern Leon County off Meridian Road in December of 2017, approximately five miles away from the home where he grew up. Law enforcement officials confirmed that Jerry Michael Williams was a victim of homicide. They declined to offer more details regarding how he may have been killed, when his body was found, or any details as to whether or not they have a suspect/person of interest. On May 8, 2018 the widow of Jerry Michael Williams, Denise Williams, was charged with first-degree murder, conspiracy to commit first-degree murder and accessory after the fact in his killing. On December 14, 2018 Denise Williams was found guilty for helping mastermind the killing of her husband Jerry Michael Williams. She was found guilty on three counts, including first degree murder and conspiracy to commit murder. The verdict came after a five day jury trial. On February 6, 2019 Denise Williams, the widow of Jerry Williams, was sentenced to life in prison for masterminding the murder. 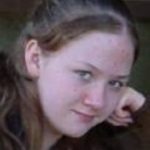 The disappearance of Brianna Maitland from Montgomery, Vermont on March 19, 2004. 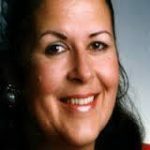 The disappearance of Lily Aramburo from Dania Beach, Florida on June 1, 2007. The disappearance of Tina Marie McQuaig from Jacksonville, Florida on March 15, 2000. On December 26, 2002 remains were found in the woods near Cecil Field; they were positively identified as Tina’s in early 2003. The Duval County Medical Examiner’s Office ruled it a homicide. 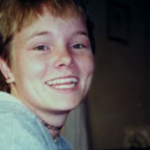 The disappearance of Jamie Fraley from Gastonia, North Carolina on April 8, 2008. 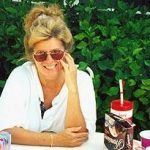 The disappearance of Virginia Wood, Kelly Gaskins and Ervin Williams from Chocowinity, North Carolina on March 10, 2007. 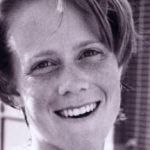 The disappearance of Susan Walsh from Nutley, New Jersey on July 16, 1996. The disappearance of Terrance Williams from Naples, Florida on January 12, 2004. On August 30, 2018 a wrongful death suit was filed in in Collier Circuit Court, alleging that former Collier County Sheriff’s deputy Corporal Steven Calkins is responsible for the death of Terrance Williams. 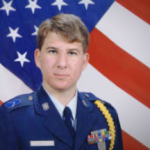 Williams was last seen in the custody of Calkins in 2004. Calkins told investigators that he picked up Williams for driving without a license, but says he ended up dropping him off at a nearby Circle K instead of arresting him. Calkins was fired during an internal investigation after becoming uncooperative and giving conflicting statements. 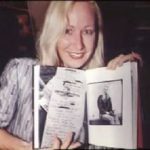 The disappearance of Jackie Markham from Callahan, Florida on December 14, 2000. 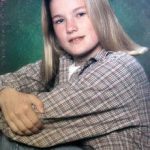 The disappearance of Danice Day from Monte Vista, Colorado on January 9, 2002. 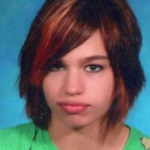 In June of 2009 Danice’s remains were found in an Arizona’s Lyman lake. Victor Braun, Danice’s boyfriend, pled guilty to manslaughter in the case. The disappearance of Allison Jackson-Foy near Wilmington, North Carolina on July 30, 2006. Allison’s remains, along with the remains of Nobles Rothen, were found along Carolina Beach Road in on April 26, 2008. No arrests have been made in connection with their murders. The disappearance of Margaret McEnroe from Warren Township, New Jersey on October 12, 2006. 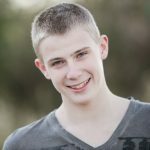 The disappearance of Noah Pippin from Helena, Montana on September 15, 2010. 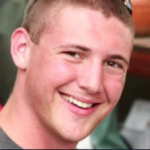 Noah’s remains were found on August 24, 2012 in the Bob Marshall Wilderness Area. 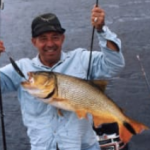 The disappearance of Clinton Nelson from Princeton, Louisiana on September 1, 2006. 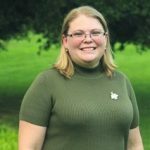 The disappearance of Joey Lynn Offutt from Skykesville, Pennsylvania on July 12, 2007. 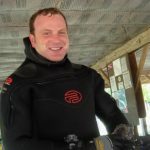 The disappearance of Ben McDaniel near Ponce de Leon, Florida on August 18, 2010. 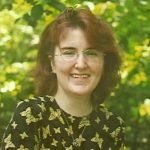 The disappearance of Suzanne ‘Suzy’ Lyall in Albany, New York on March 2, 1998. 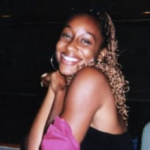 The disappearance of Chioma Gray from Ventura, California on December 13, 2007. In 2011 Chioma was reunited with her family. Andrew Tafoya pleaded guilty to felony child stealing and was sentenced to two years in jail. The disappearance of Shannan Gilbert from Jersey City, New Jersey on May 1, 2010. 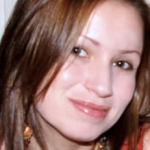 Shannan’s remains were found on December 13, 2011; the cause of death is undetermined. The search for Shannan led investigators to the discovery of 10 bodies that investigators attribute to the Long Island Serial Killer aka Gilgo Beach Killer. 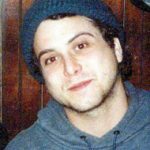 The disappearance of Zebb Quinn from Asheville, North Carolina on January 2, 2000. On July 10, 2017, a Buncombe County grand jury indicted Robert Owens with first degree murder of Zebb Quinn on Jan. 2, 2000. 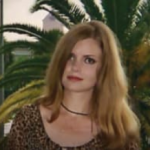 The disappearance of Dana Pastori near New Orleans, Louisiana on February 27, 2002. John Henry Morgan, Dana’s boyfriend, was convicted for her her murder in 2009. The disappearance of William McGrath from Phoenix, Arizona on August 17, 2009. Bradley Tocker was convicted of first degree murder in March of 2011, despite McGrath’s body not being found. In May of 1011 Williams’ remains were found under the home of Tocker’s mother. 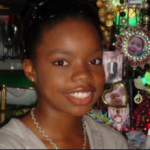 The disappearance of Mitrice Richardson near Malibu, California on September 17, 2009. Mitrice’s remains were found on August 9, 2010; the cause of death is undetermined. 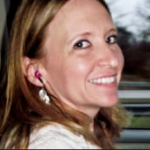 The disappearance of Bethany Decker near Ashburn, Virginia on January 29, 2011. The disappearance of Jesse Capen from Denver, Colorado on December 4, 2009. 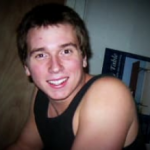 Jesse’s remains were found in November of 2012, about a half mile from where his Jeep & belongings were found in December 2009. 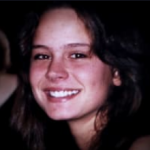 The disappearance of Colleen Wood from Fort Lauderdale, Florida on December 28, 2000. 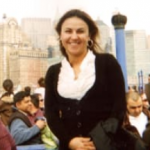 The disappearance of Hatice Corbacioglu from Toronto, Ontario on June 13, 2009. The disappearance of Satara Stratton near Hollywood, California on October 17, 2011. In 2012 Satara was found safe in a Los Angeles hospital. On February 2, 2017 Satara Stratton was found deceased. The manner of death was an overdose. 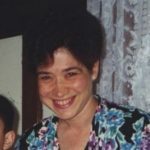 The disappearance of Amy Bechtel from Lander, Wyoming on July 24, 1997. 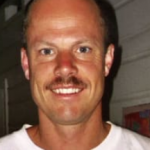 The disappearance of Randy Morgenson near Fresno, California on July 23, 1996. 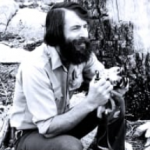 Randy’s remains were found on July 15 of 2001 in Kings Canyon National Park. It is believed that Morgensen died due to an accidental fall. The disappearance of Ashley Freeman and Lauria Bible from Welch, Oklahoma on December 30, 1999. In December of 2017 an affidavit was released that stated that Warren Phillip “Phil” Welch II, David Pennington, and Ronnie Busick were involved in the disappearance of Ashley Freeman & Lauria Bible. Investigators say they murdered Danny and Kathy Freeman, set their home on fire, then kidnapped and killed Ashley & Lauria. On April 22, 2018 authorities arrested Ronnie Dean Busick, and charged him with four counts of first-degree murder, two counts of kidnapping, and one count of arson. The other two suspects in the case, Warren Phillip “Phil Welch II and David Pennington are both deceased. A preliminary hearing for Ronnie Busick has been set for September 14, 2018. A continuation of Ronnie Dean Busick’s preliminary examination is set for December 21, 2018. 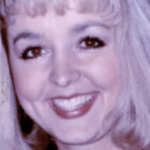 The disappearance of Jodi Huisentruit from Mason City, Iowa on June 27, 1995. 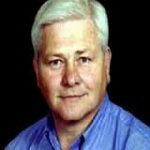 The disappearance of Bob Wykel from Burien, Washington on February 21, 1996. In 2011 Myron C. Wynn was convicted of first degree murder in the death of Bob Wykel. 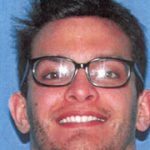 Wykel’s remains have not been found. 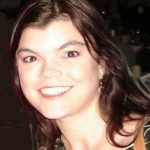 The disappearance of Tracy Ocasio from Orlando, Florida on May 27, 2009. 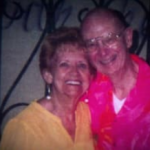 The disappearance of Bob Harrod from Placentia, California on July 27, 2009. The disappearance of Lila Buerattan and Moses Lall from Loxahatchee, Florida on June 15, 1994. 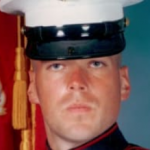 The disappearance of Jarrod Johnston near Yazoo City, Mississippi on July 7, 2007. 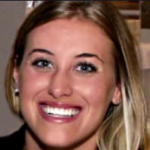 The disappearance of Jessica Heeringa near Norton Shores, Michigan on April 26, 2013. On September 20, 2016 Jeffrey Willis was charged with the kidnapping and murder of Jessica Heeringa. The trial date has been set for March 6, 2018. On May 16, 2018 Jeffrey Willis was found guilty of the first-degree murder and kidnapping of Jessica Heeringa. The decision came after six days of testimony and 90 minutes of jury deliberations. Sentencing has been scheduled for June 12. 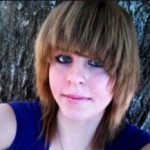 The disappearance of Tiffany Daniels near Fort Pickens, Florida on August 12, 2013. 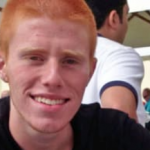 The disappearance of Bryce Laspisa near Castaic, California on August 30, 2013. 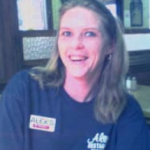 The disappearance of Tammy Kingery near North Augusta, South Carolina on September 20, 2014. The disappearance of Brian Histand near Maricopa County, Arizona on May 15, 2013. In January of 2016 Brian’s remains were found in South Mountain Park in Phoenix, Arizona. 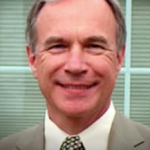 The disappearance of David Riemens near Wilson County, Tennessee on August 8, 2012. The remains of David Riemens were found off Taylor Road in Watertown, Tennessee in January 2018. The Wilson County Sheriff’s Office is currently awaiting a full report from the state medical examiner to determine the cause of death. They did state that the case will continue to be investigated by their criminal investigation unit. 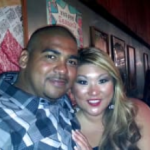 The disappearance of Rico Harris near Sacramento, California on October 10, 2014. The disappearance of Robert Hoagland near Fairfield County, Connecticut on July 28, 2013. The disappearance of Brandy Hanna near Charleston, South Carolina on May 20, 2005. On December 12, 2016, Garland Eugene Lankford, Brandy’s former boyfriend, was charged by North Charleston Police with Obstruction of Justice in connection with the 2005 disappearance of Brandy Hanna. 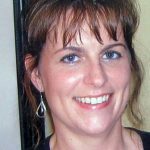 The disappearance of Jennifer Kesse near Ocoee, Florida on January 24, 2006. 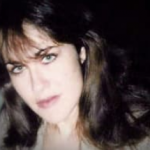 The disappearance of Lynn Messer near St. Genevieve, Missouri on July 8, 2014. On November 1, 2016 Lynn’s remains were found on the Messer farm, about a mile from her house. The cause of her death remains unknown, and there is no official word on whether or not foul play is suspected. The FBI is currently investigating the case. 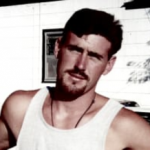 The disappearance of Macin Smith near Saint George, Utah on September 1, 2015. 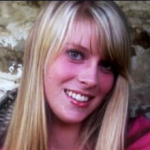 The disappearance of Kortne Stouffer near Palmyra, Pennsylvania on July 28, 2012. 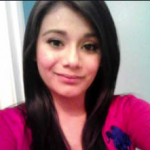 The disappearance of Elizabeth Salgado near Provo, Utah on April 16, 2015. On May 23, 2018 Provo investigators confirmed that the skeletal remains found in the Hobble Creek Canyon are that of Elizabeth Salgado. 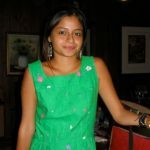 A cause of death had not been determined as of May 23, but the location of the remains indicates foul play according to investigators. Elizabeth Salgado did not have a car, but her remains were found approximately 15 miles away from where she was last seen. The disappearance of Elijah ‘Bear’ Diaz near El Cajon, California on August 29, 2015. 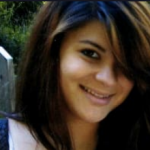 The disappearance of Zoe Campos near Lubbock, Texas on November 18, 2013. On November 7, 2018 investigators found a bone in a backyard just west of Lowery Field on 70th Street. Police state that the bone is related to the Zoe Campos investigation, but they have not confirmed whether it’s a human bone. At this time, the findings and that specific area remain an active part of the investigation. On November 15, 2018 Lubbock Police obtained a search warrant for a home in the 1900 block of 70th Street. The warrant authorizes police to search the entire property for blood, trace evidence and human remains. On November 16, 2018 human remains were found buried in a backyard of a home in the 1900 block of 70th Street in Lubbock. The suspect, 25 year old Carlos Andrew Rodriquez, is in custody and has been charged in connection to the death of Zoe Campos. Previous jail records indicate that Rodriquez used to live at the house where the remains were found. Details from a warrant released on November 20 state that Rodriquez confessed to strangling Zoe to death. Afterwards he dug a shallow grave next to his porch, then drove her car to the Driftwood Apartments and abandoned it. On November 21 the remains that were found buried in the backyard of a Lubbock home on November 16 were positively identified as Zoe Campos. The disappearance of Katelin Akens near Alexandria, Virginia on December 5, 2015. The disappearance of Zachary Bernhardt from Clearwater, Florida on September 11, 2000. 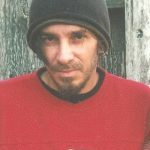 The disappearance of Eric Lee Franks from Saginaw, Michigan on March 21, 2011. 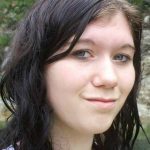 The disappearance of Kayla Berg from Antigo, Wisconsin on August 11, 2009. 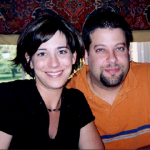 The disappearance of Danielle Imbo & Richard Petrone from Philadelphia on February 19, 2005. 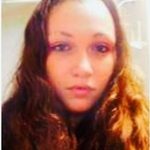 The disappearance of Angel Garcia from Hartford, Connecticut on October 21, 2011. 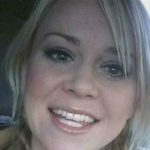 The disappearance of Deanne Hastings from Spokane, Washington on November 4, 2015. The disappearance of Ashley Summers from Cleveland, Ohio on July 9, 2007. 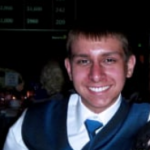 The disappearance of Logan Schiendelman from Tumwater, Washington on May 19, 2016. 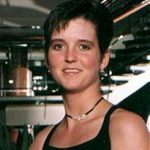 The disappearance of Amy Lynn Bradley who disappeared while aboard the Royal Caribbean cruise ship, Rhapsody of the Seas, on March 24, 1998 while en route to Curacao in the Netherlands Antilles. 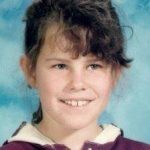 The disappearance of Stephanie Crane from Challis, Idaho on October 11, 1993. 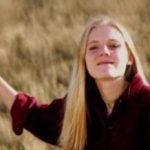 The disappearance of Sage Smith from Charlottesville, Virginia on November 20, 2012. 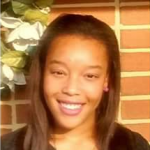 The disappearance of Tyarra Williams from Greensboro, North Carolina on January 7, 2016. 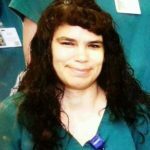 The disappearance of Holly Cantrell from McAlester, Oklahoma on January 20, 2017. 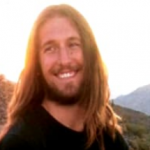 The disappearance of Michael David Vanzandt from Hermosa Beach, California on on March 5, 2016. 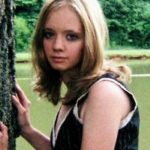 The disappearance of Tabitha Tuders from Nashville, Tennessee on April 29, 2003. 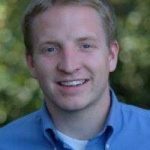 The disappearance of James ‘Martin’ Roberts from Boone, North Carolina on April 21st, 2016. The disappearance of Michael Chambers from Quinlan, Texas on March 10, 2017. 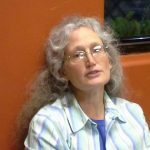 The disappearance of Nancy Moyer from Tenino, Washington on March 6, 2009.